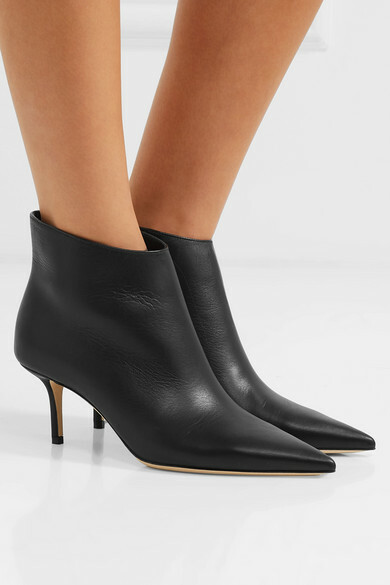 Jimmy Choo's 'Marinda' ankle boots are a new silhouette for Resort '19. 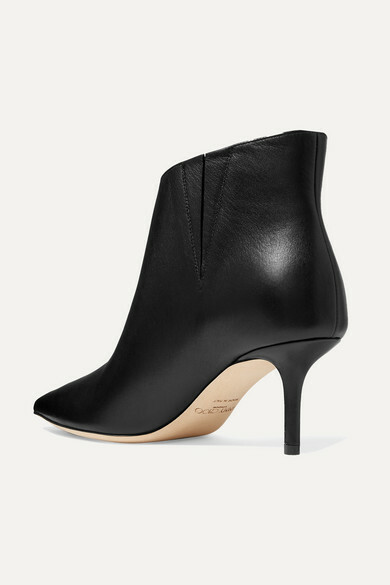 Made from smooth black leather, they're detailed with slits at the sides concealing an elasticated panel that enhances the snug fit. 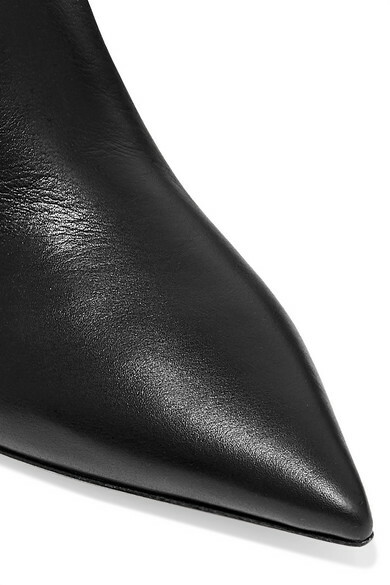 Just shy of 3 inches, the stiletto is comfortable enough to wear all day long. 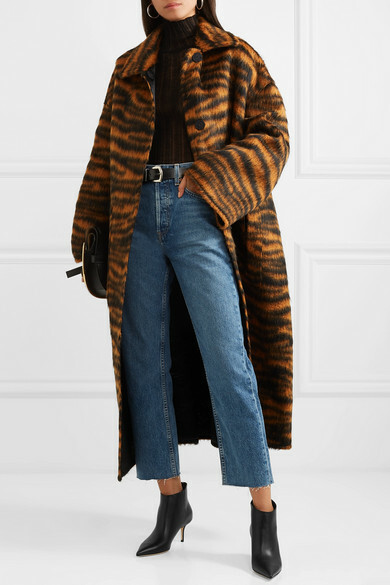 Shown here with: RE/DONE Jeans, Bottega Veneta Coat, Theory Sweater, Loewe Shoulder bag, Isabel Marant Belt, Isabel Marant Earrings, Sophie Buhai Rings.